Can somebody check my order content for mistakes, before (or after) I place it? We perform a sanity check for every single order we process. If something does not look right from our perspective, the Admin will e-mail you for clarification, and your order goes on-hold till you reply. You may want to make an order note in case your order contains incompatible parts (for instance parts for two different builds) to avoid delay with your order processing. 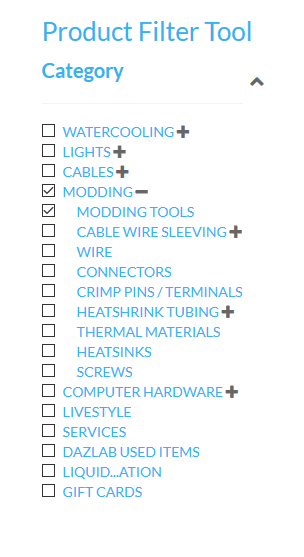 If you still working on your parts list, you welcome to send us the screenshot of your Shopping Cart for a quick review. To research your GPU compatibility with watercoling blocks. 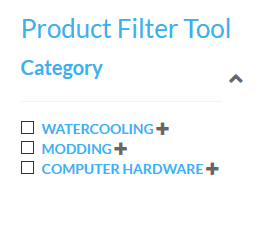 Use EK Watercooling Configurator tool. 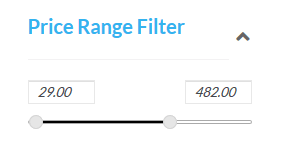 Configurator is easy to use with GPU images and GPU part numbers to find your match. To advice you about the suitability of your computer case model to fit certain parts, unless we have used the same case ourselves before. Use ruler and product description (size) to figure things out. I cancelled Paid order by mistake or changed my mind. What to do? E-mail customer service with your order # and your order will be reinstated. If your order already refunded (i.e. has status “REFUNDED”), you have to make a new order. What to do if I have an issue with shipped or recieved order? Use our Service Ticket system for any problems with your DazMode order. You can access it from your Account – Order History. Provide photo evidence when applicable. Do not e-mail our general mailbox or leave a voice message on the phone. Do you combine multiple orders? We can (when time permits and when you spot duplicates in time) to ship your multiple orders together in a single package and refund any savings back to you. To help our shipping department to identify your secondary order: Please make an Order Note with the request to combine your order with previous order #xxxxx. Do not e-mail customer service or open Service Ticket. If there is no comment made, we still make an effort to locate and combine shipping costs for your convenience. Do you ship order as single or multiple shipments? We ship everything in one box from one location. It is extremely rare we have to split parts into multiple boxes (due to size or weight limitations). We have No Back Orders policy, and your entire parts list must be in your shipment. Please inspect box carefully, sometimes smaller packages get lost in our Biodegradable shipping peanuts. If you would miss any parts in your order, open Service Ticket from your order history and we will look into the possible mistake. Can I come and order parts in person from warehouse? No, all orders made online exclusively. We are not interested in maintaining a retail store. Please respect our choice. Is store currency Canadian or US Dollars? How do I know if my package was shipped? When your order shipped; you will receive an e-mail notification. You also can review your order status in your Order History (My Account). Can I add product(s) to an already placed order? No, unfortunately, we cannot add any items to already paid orders, because it breaks Inventory Management and Accounting systems. Please, make a new order for any additional products you may need. We can, however, when time permits, ship your multiple orders together in a single package and refund any shipping savings back to you. To help our shipping department to identify your secondary order, please make an Order Note with the request to combine your order with previous order #xxxxx. Do not phone, e-mail customer service or open Service Ticket on top of Order Note request. Alternatively, you can cancel your order (and make a new order), but this method is not advisable, as you will receive an unpaid strike on your account and some products may be locked in your canceled order and not showing in the store any longer, so you will be stuck anyway. You will know that orders have been combined successfully by the same tracking number on both orders. Please note, that we process refunds ones or twice a week, please refrain from sending us e-mails with demands of immediate refund. If you cannot wait a few days, do not make your secondary order. To avoid all the hassle above, we ask our customers to double check order list carefully. How can I remove item from already paid order? We accept requests for removing items from paid, but not yet shipped orders. If your order status indicates “shipped” it is too late to make a change. The request must be in writing by e-mail or through Service Ticket (please do not spam us with multiple requests). This benefit is provided at no charge at our “best effort”. Please note, that we process refunds ones or twice a week, please refrain from sending us e-mails with demands of immediate refund. Orders shipped within 48h (or less) Monday-Friday excluding Canadian Holidays and pre-announced Store Closure dates posted on the checkout page. Custom services and build-to-order product may delay your order because somebody needs to make such work for you. We always make an effort to ship orders as fast as we can. And anybody who deals with us before knows that we work fast. We are not interested in maintaining a retail store or deal with clients in person. Your close proximity to our location makes no difference whatsoever. Please respect our choice. From which country do you ship and what do you charge for shipping ? All customer’s orders shipped from our warehouse in Mississauga, Ontario, Canada. The shipping costs calculated from the weight and dimentions of the items in the shopping cart pulled from our accouts with Canada Post, Fedex and UPS. You can find your order tracking data in email shipping confirmation and from your Order History (My Account — Order History — Order#). Do you ship to USA and Internationally? International – No, we do not ship outside of Canada and USA. Is your packaging enviromentally friendly? In fact, yes! We use bio-degradable shipping peanuts, that can be washed down to drain, composted or scraped with food. Carton boxes are fully recyclable. Occasionally we re-use less environmentally friendly material that we receive from our suppliers, such as plastic bubble-wrap, although some municipalities are now recycling plastic bags as well. We recycle all the excessive carton and plastics we accumulate in the office. What Credit Cards accepted at your store? VISA, Mastercard, and AMEX accepted for Canadian customers. We only ship to credit card billing address confirmed by your credit card AVS system. Payment attempts that fail to comply will be blocked. International customers may pay with Paypal. Your order shipping address should be the same as your Paypal confirmed address. Due to constant attempts to pay with stolen credit cards, we only accept and ship orders to credit card’s Billing Address which is confirmed with AVS (Address Verification System). If AVS check fails or does not supported by your card (usually true for debit cards), your payment will be rejected. Please, spare us from the stories why you are the one that should be exempt from this protective measure. Any pre-authorizations for rejected payment attempts will expire automatically in 24 hours. How do I pay with EMT (Interac Email Mail Money Transfer)? EMT (Interac e-mail money transfer) is only available for Canadian customers who bank with Interac e-Transfer participants. EMT checkout payment is a two-step process. Checkout from DazMode store with the ‘EMT payment’ option selected. Login into your web banking and send the EMT to the same e-mail address as you received in your order confirmation email. EMT will be accepted automatically by NewAngle tecnologies Inc. (owner of DazMode trademark and store). No password is required. After your payment processed from our end (i.e. seen by accounting), your order payment status will change to ‘Paid’ by customer service manually, and you will receive a confirmation “Thank You” e-mail. The 1% of your EMT payment will be donated to DazMode YouTube projects. Thank you for using EMT! Is there any way to split payment between two options in the same order? No, the payment splitting is not supported. A single source of payment is required. Five reasons DazMode is the Best! ONLY REAL STOCK – We offer products that we have in stock. No backorders or other funny business with cross shipping. FAST SHIPPING – Your order shipped in two business days or faster. Half of customer orders shipped the same day. THE BEST PRODUCTS – We offer the best-performing products and brand names and routinely weed out products and vendors with issues. FRIENDLY COMMUNITY – You can get real help from superstar modders on DazMode forum and see hundreds of build logs to motivate and inspire your build. REVIEWS AND TUTORIALS – Our YouTube education channel is fun and easy to learn with. Over 400 videos to watch and enjoy. What are Reward Points for? Rewards points promotional program by DazMode that is adjusted from time to time. With every paid and shipped order, you earn Reward Points that used as a cash discount on any subsequent purchase. We do not limit the number of points that you can redeem with next purchase. Point collectors rewarded with points multiplier system. You also can earn Extra Free Points by participating in various promotional programs, such as writing helpful Product Reviews, reaching certain order minimums and being the loyal customer. Points expire in 1 year from your purchase. The Build Of The Month (BOTM) is the friendly, no-frills event we host on our forum. To participate: join our forum and share pictures of your build with is. Monthly BOTM title comes with a small prize. What is DazMode Amateur Modding Competition? DazMode’s AmeteurModding Competition is Annual Event we host on our forum. It worth saving pictures of your build progress! Entries are accepted from September to November and Internationa panel of famous Modders vote for the build of the year. Fabulous prizes for winners, thanks to our Sponsors! While we also think it is cool when somebody pays for your hobby, that won’t be us who pays for yours. We have limited 30 days return policy with a restocking fee. All requests submitted through DazMode’s Ticket System. A return authorization confirmation is required for all returns. The customer is solely responsible for shipping of any returned products, including any additional shipping charges to DazMode. Customer agrees to use only reputable carriers capable of providing proof of delivery and insurance for the entire value of the shipment. Customer agrees to bear all shipping charges and all risk of loss for the returned product during shipment. We provide limited 30-days DazMode warranty on all products we sell. After 30 days from your order purchase date, you may be entitle to Manufacturer Warranty and need to contact the manufacturer directly. Do you provide custom cable sleeving services? We provide an excellent variety of sleeving and modding products for customer projects, but we do not perform and sell sleeving services. Are you making custom cables? Sorry, we don’t make one-off custom cables. Can you build computer for me? Generally speaking, we don’t build customer systems, but there some exception ones or twice a year. 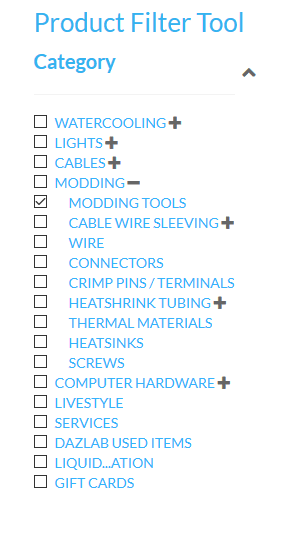 Can you make a list of all parts I need for my build? The long answer is that there are too many variations and too many moving parts to make an accurate list for the custom project, which overall quite a time commitment that we cannot afford. The other reason is political if you will. We are store for D.IY. Hobbyist and understanding the hobby is part of the process that every modder should endure. General consumers who are unwilling should buy a pre-built system. 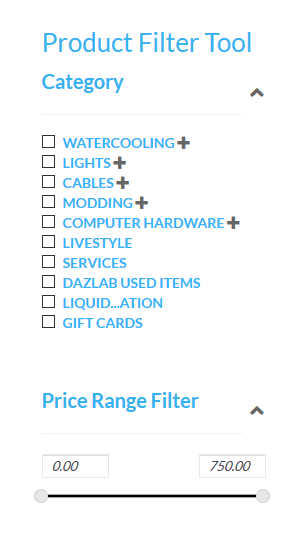 To help you start more efficiently than just Google about watercooling, we have a fantastic forum with many experienced modders who can give you tips; we also have DazMode YouTube channel with over 400 videos, many of them are tutorials on various watercoling subjects, including our Complete Watercooling Guide Series. Willing makes the best builds! Laziness makes failures. Do you sell Aluminium watercooling parts? We sell only copper and copper alloy products in our store. There is no aluminum watercoling gear in our store.